The seventh generation Corvette (C7) debuted in 2013 as a 2014 model. The new car was extensively upgraded and carried the iconic Stingray designation. 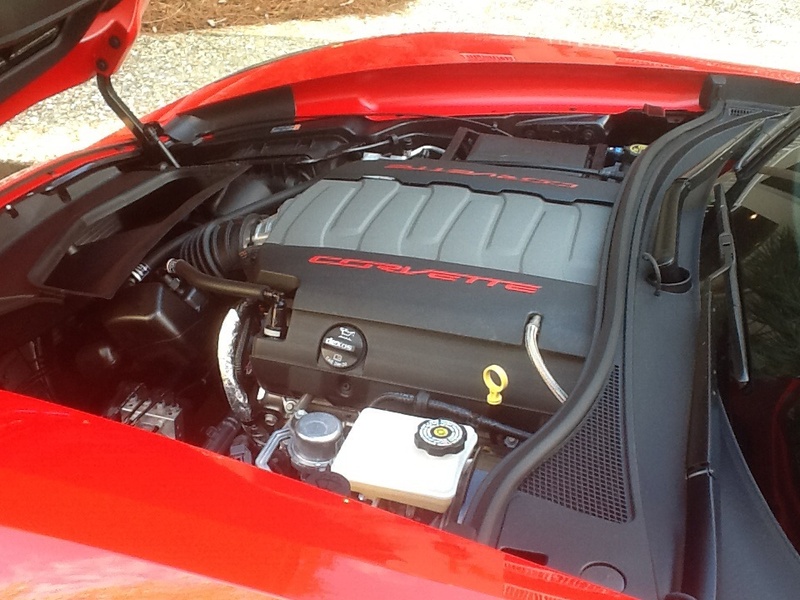 Not only did the body receive a sharp edged redesign but the new LS1 engine now came standard with 455 horsepower. 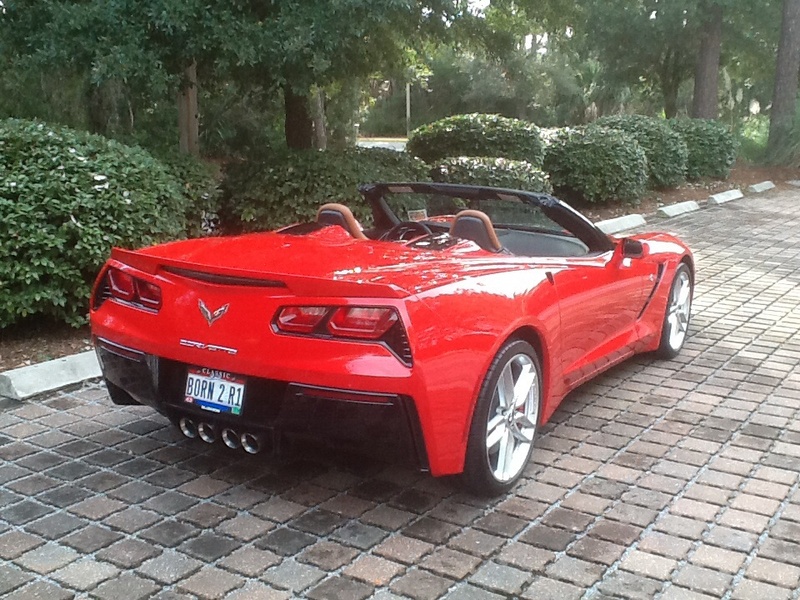 The C7 Corvette became an immediate hit and waiting lists and sticker (or greater) prices became the norm. My philosophy has been to let the dust settle on a new model introduction and wait for the second year to make a purchase. That approach has reaped positive benefits, as the 2015 Stingray has incorporated some important improvements over the 2014 model. The most significant upgrade for 2015 is an eight speed automatic transmission replacing the previous six speed. The new transmission chops a tenth off the 0-60 acceleration time and adds one mpg (29 mpg) to the highway fuel mileage. An interesting new option is a feature of the performance monitoring camera that allows the owner to secretly record what happens when a valet parks the car. Any joy rides are recorded and provide clear evidence of a valet’s indiscression. 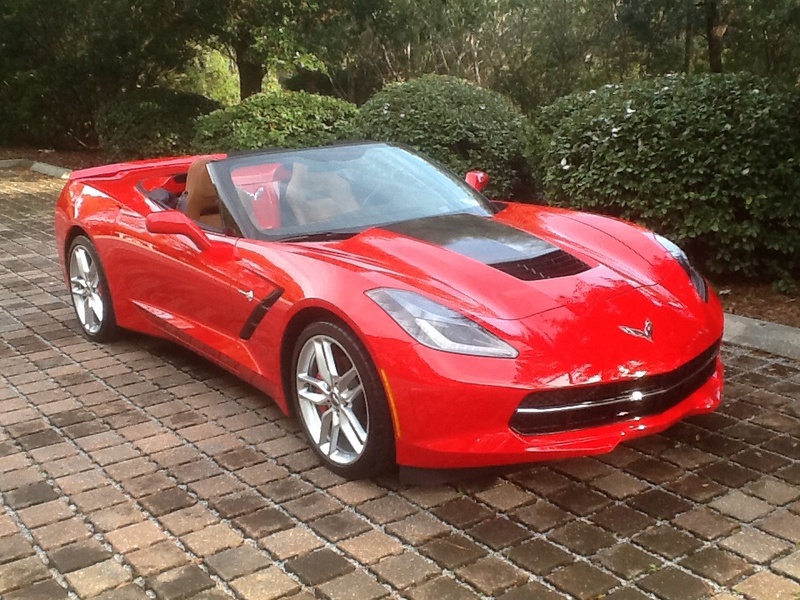 The 2015 model also allows a buyer to add an appearance option that makes a standard Corvette look like a Z51 equipped car without opting for the performance upgrades. 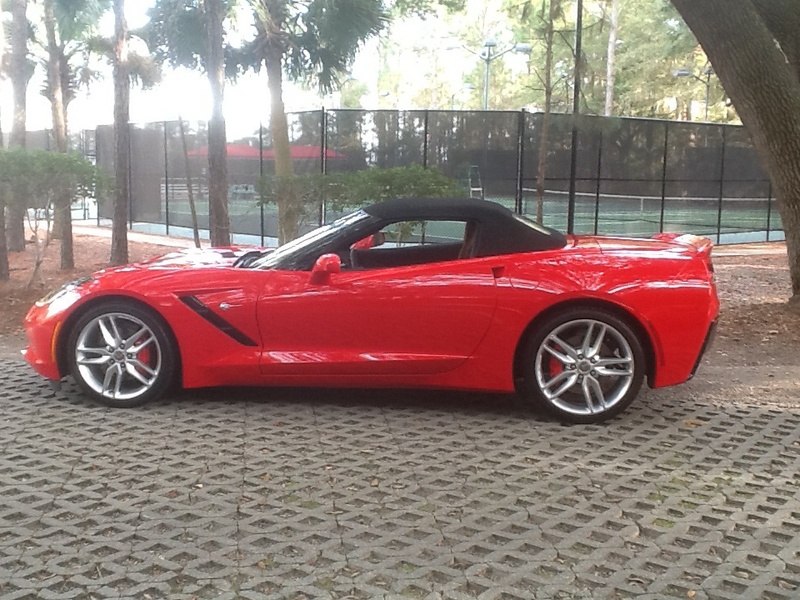 Our car is a 2015 Stingray convertible in Torch Red. The car has the new for 2015 eight speed automatic transmission, the performance data recording system and the Z51 appearance package, among other options. We took delivery of the car in October 2014. 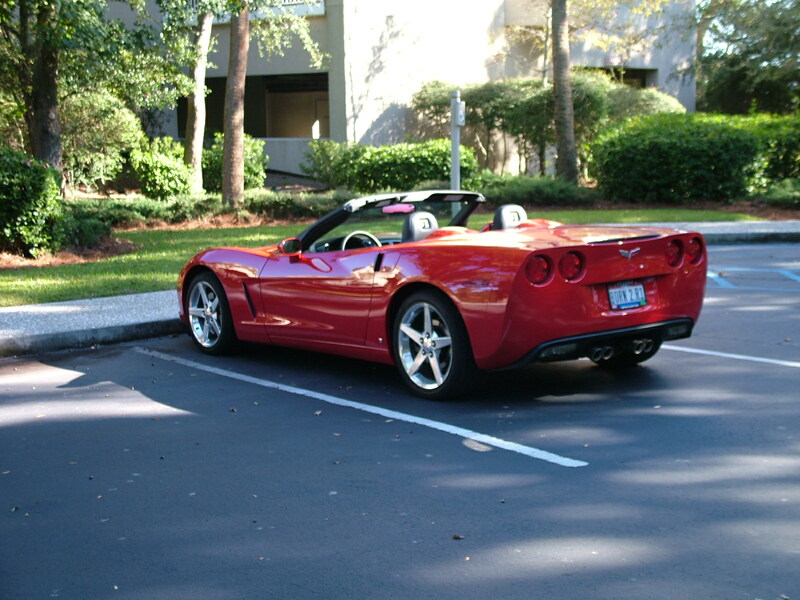 THE C7 AS SEEN BY MOST OTHER DRIVERS. Having owned a C6 convertible, we were curious as to how Chevrolet could have improved on that model. A few initial drives convinced us that the changes were significant. Visually the car is striking with its chiseled angular features. The Kalahari interior blends nicely with the red exterior, and breaks up the otherwise mostly black seating and dash areas. 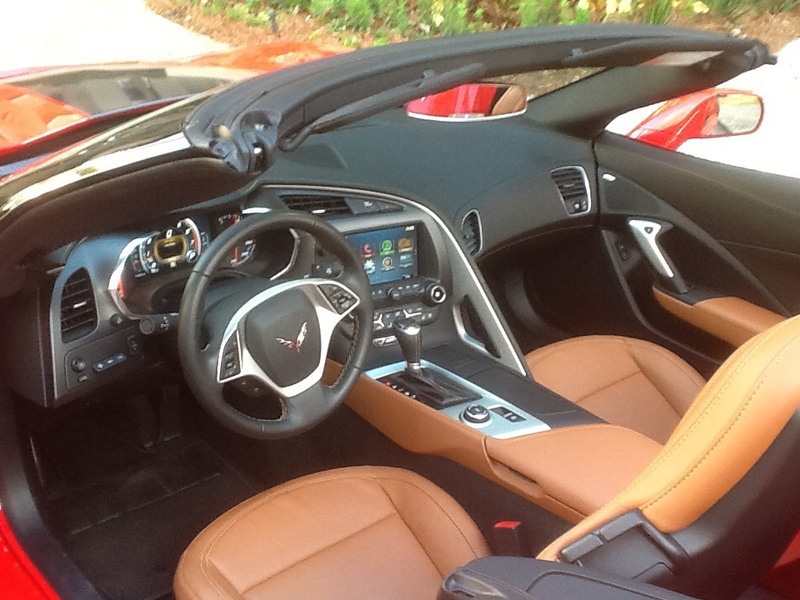 The overall interior feel, including controls and seating, is much superior to the C6. The car comes standard with a power top and configurable dash. There are adjustable suspension settings and even four selections for exhaust note. All C7 Stingrays have cylinder deactivation, a feature that allows the engine to run on only four cylinders during light load or steady cruising. Our experience showed that the change from four to eight cylinders was seamless enough to be undetectable. Absent a dash indicator, it was nearly impossible to know in which mode the engine was running. The economic benefit of the deactivation feature was verified by a long freeway drive that yielded a real-world thirty miles per gallon. The diving experience is, in a word, spectacular. The acceleration is, as expected, swift, and the eight speed automatic quickly finds the correct gear for any circumstance. The low profile Michelin 19-inch front/20-inch rear tires allow the driver to comfortably navigate turns at speed while checking the car’s lateral acceleration on the head-up g-meter display. Lowering the power top (at up to 30 mph), and dialing in the tour exhaust gives the senses full exposure to the total driving environment. An additional feature of cruising in the new Stingray is the attention that accompanies the car. Unsolicited thumbs-up, brief stoplight comments, and longer parking lot discussions become part of the pride of ownership. Traveling incognito in the C7 is next to impossible, and, unless you’re an introvert, that’s okay. This is truly a labor of love. Great perspective into the trials and tribulations of being in the car hobby. I have passed this along to my fellow Corvette enthusiasts. Hay Phil why? is that guy in your car ,you need a good looking school girl?